RM Sotheby's, the world's largest auction house for investment-quality automobiles is set to lift the gavel on some 149 hand-selected motor cars from some of the world's most iconic automotive marques when its 17th annual Arizona sale returns to Phoenix, January 28-29. One of the most prestigious and beautiful automobiles of the interwar years, the Special Roadster is the ultimate Mercedes-Benz 540 K; its combination of power, light weight, and sheer beauty made it the master of the road, while its extravagant price tag guaranteed exclusivity among owners, features that remain true today. The example on offer, chassis no. 130894, is one of the earliest of the breed, and one of very few built in the most desirable configuration of high doors, long tail and factory left-hand drive. An original U.S.-delivery car with known history from new, the first owner of 130894 has long been believed as Reginald Sinclaire of Larkspur, Colorado, heir of Henry Purdon Sinclaire, one of the founders of Corning Glass. 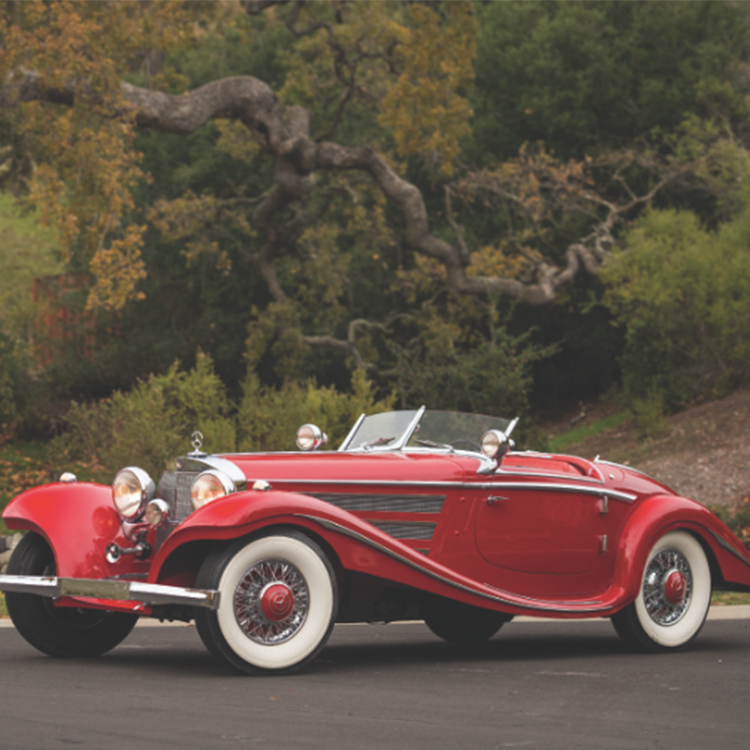 Sinclaire was no stranger to luxury automobiles, with the 540 K joining an impressive stable of vehicles he owned and remaining in his possession through the mid-50s. Over the ensuing years, the Special Roadster on offer was the centerpiece of some of the world's most prominent collections, including previous ownership by E.W. Price and later, Axel Wars, before making its way to its current custodian in 1989. Presented in wonderful, restored condition and with a mere 10,277 miles on its odometer, 130894 will be offered in Arizona following 26 years in single ownership. Eligible for the world's most prestigious events, it is estimated to bring more than $10 million when it crosses the RM Sotheby's stage later this month. "In the world of luxury automobiles, the 540 K is a car with few peers and effortlessly checks all the boxes when it comes to collectability, namely extreme beauty, power and rarity," says Ian Kelleher, Managing Director, RM Sotheby's West Coast Division. "Very few Special Roadsters were built in this most desirable configuration of high doors, long tail, and factory left-hand drive, of which only six are believed to exist today. 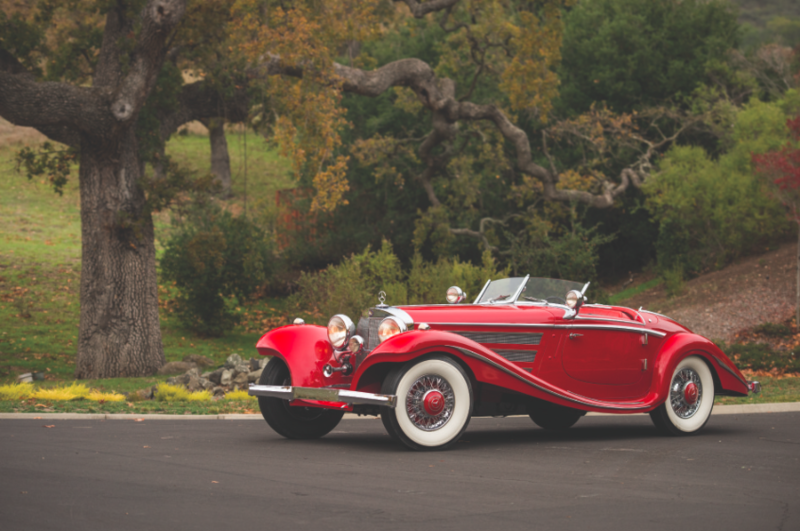 These cars are held in esteemed collections and rarely come to public market— when they do, few rival the provenance of the Sinclaire 540 K. The fact that it is coming to market for the first time in decades makes its offering all the more special and sets the scene for a very exciting auction at the Biltmore." One of just 23 full competition-spec 427 Cobras produced, CSX 3010 was delivered new with a less aggressive exhaust for street use, a shoulder harness, and road lights. 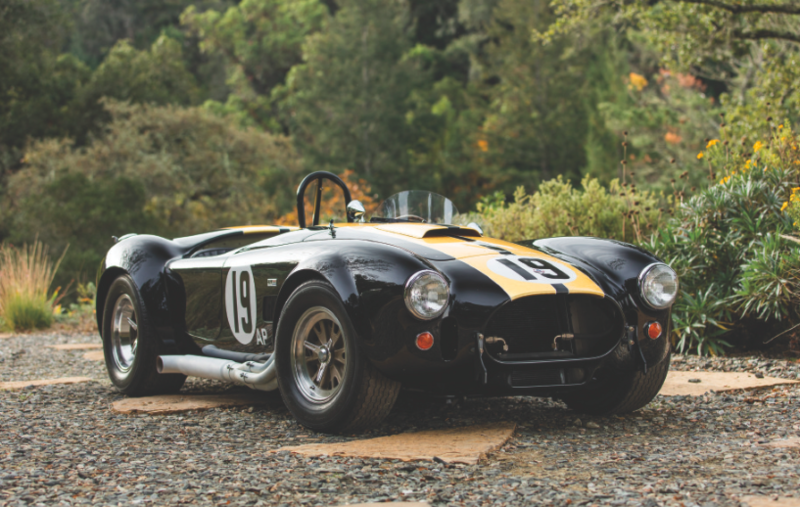 Prepared for the track with black paint and gold leaf stripes, it won the 1968 U.S. SCCA A Production Championship and later, the 1971 Canadian Endurance Championship, making it the only 427 Cobra to win championships in two countries. A true-dual purpose automobile, it first landed with its current owner in 1978; he parted with the car in 1986 only to be reunited with it in 2007. A true dual-purpose car, it is a veteran of many historic racing events and 1,000 mile tours (Est. $2,500,000 - $3,300,000). 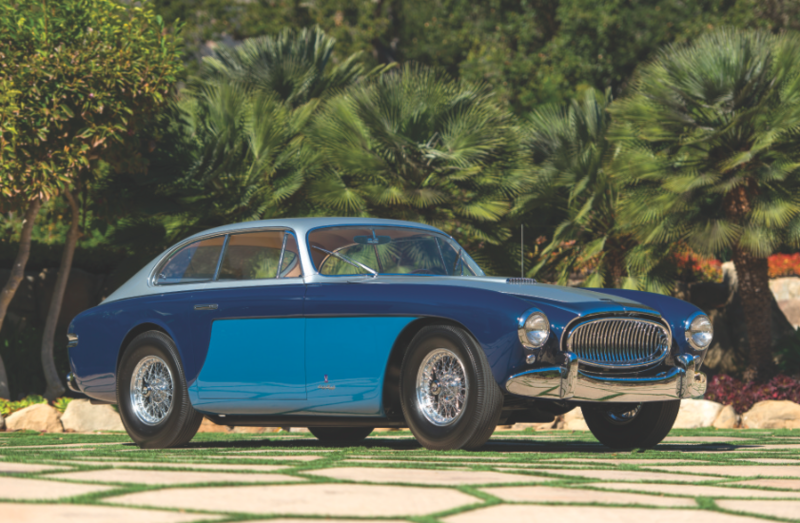 One of just 19 Cunningham C3 Coupes, this car is the third Vignale-bodied car and the only one to be actively raced in-period. One of the finest examples in existence, it is presented in Arizona following a superb restoration by RM Auto Restoration, which included returning the car to its unique tri-tone color scheme (Est. $900,000 - $1,100,000). In total, RM Sotheby's will present some 149 blue-chip automobiles at its two-day Arizona sale, with auction vehicles available for advance preview at the Biltmore from January 27. Among a long list of additional feature attractions are a 1929 Duesenberg Model J Disappearing Top Torpedo Convertible Coupe, J-414, one of just six original examples built and featuring a one-off tail design and numerous unique features (Est. $3,000,000 - $3,500,000); and a 1962 Maserati 5000 GT Coupe, chassis no. AM103 040, one of just 20 Allemano-bodied 5000 GTs and widely considered as one of the most significant and glamorous road-going Maseratis (Est. $1,500,000 - $2,000,000). See realized prices for RM Sotheby's here.